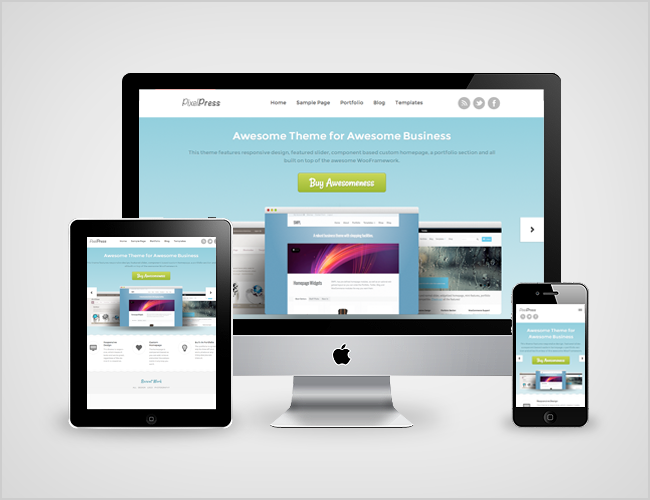 What is Actually a Responsive Theme? 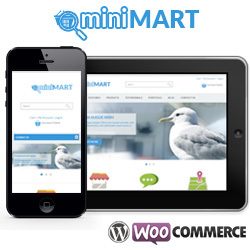 A responsive theme (as the one used for this website), is an approach to web development that allows a website to have a flexible layout across different monitor sizes, screen resolutions, and platforms, be it a computer, tablet or mobile device. It allows the developer to create a site that is optimized for each platform, both in navigation, readability and load time. As you can see when resizing the window (if you are viewing this site on a computer), the layout of the page shifts depending on the size of the screen – with different layouts for content depending on viewing area. Themes (or layouts) such as this, allow for a single site and single look to the site, to be viewed on various devices without the need for additional themes or resizing by the user. 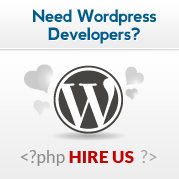 But after doing some research and looking more closely at some of the responsive WordPress themes and theme frameworks out there, you will probably wrap your head around the idea pretty quickly, and the evolving world of WordPress theme design will sound like a huge opportunity that you can’t wait to get started on. 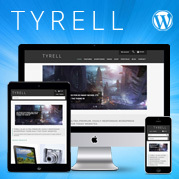 Having a detailed design concept is even more important for a responsive WordPress theme than for a static-width theme. At this stage, you haven’t decided anything, so nothing will get in your way of creating a clever and practical layout that adapts smoothly to different screens. First, consider what you want to achieve with your WordPress theme, which user group you are targeting, and what their needs are. With these considerations, you can create a list of useful elements for your layout. 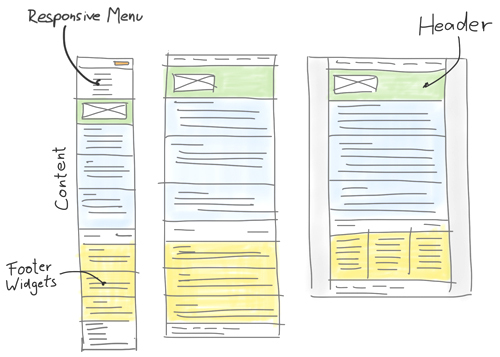 Using this list, you can plan your theme by sketching the layout at various screen sizes. When sketching, be aware that the layout widths you choose are only rough reference points to represent the common screen sizes of today’s smartphones, tablets and desktop computers. 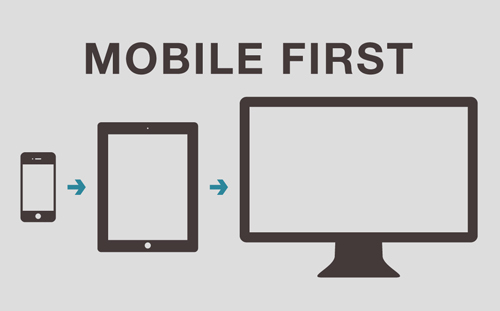 Your goal should always be to create a responsive design that adapts smoothly to a wide diversity of screen sizes. While working on your concept sketches, also think about which layout options to offer in the theme (such as header and sidebar options or multiple widget areas) and how they will adapt to different screen sizes as well. 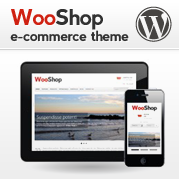 Which tool you use to develop the theme’s concept is not important. Just choose one that allows you to work quickly and that doesn’t interrupt your workflow. If you feel most comfortable sketching on a piece of paper or in a notebook, go for it. You could also try sketching on an iPad using a popular app such as Paper by FiftyThree or Bamboo Paper, together with a digital pen like Wacom’s Bamboo Stylus. Working directly on a tablet will make sharing your ideas later with the developer a lot easier. If you develop the concept precisely at the beginning of the project, you will save a lot of time and effort later in the design process. The layout will adapt to different screen sizes more intelligently if you have thought a lot about the design’s behavior before even opening Photoshop (or your software of choice). Until responsive Web design found its way into WordPress theme designs, most themes seemed to rely on good old-fashioned drop-down menus to give users multi-level navigation. But because drop-down menus rely on mouse hovering, they don’t work well on touch devices. Most themes offer users at least some layout options, such as left or right sidebar, header widget and footer elements. To offer this kind of flexibility in a responsive theme, you will have to consider how all of the layout elements will behave on different screen sizes. For instance, if you want to offer a left sidebar option, consider that the content of this sidebar would appear above the main content area on mobile devices. In most cases, this wouldn’t be the best solution because mobile users want to read the most important content first (such as the latest blog post) without having to scroll down a sidebar. Widget areas are another challenge for responsive designers. After all, designing one is not easy if you don’t know what kind of content the user will put in it. So, you need to make sure that the design works no matter which and how many widgets are used in the widget areas. Because you are creating a responsive website, designing the entire website pixel by pixel in Photoshop and then just handing it over to the developer would result in too static a design and too time-consuming a process. Instead, the design process should be used to figure out the general look and feel of the theme. At this stage, you should also work more intensively on the challenges mentioned, such as responsive navigation, layout variations and flexible widget areas. How you prepare the design for further development will depend partly on the nature of the project and how closely you will work with the developer. In general, showing your design in the three layout versions is a good starting point: smartphone, tablet and desktop. These “screenshots” can then be used as reference points for development. Design details such as font sizes, white space and button styles can be defined later directly in the browser. Because browsers often treat these elements differently, designing and testing them directly in their final environments is way more efficient. Because your design will also be used on touch devices, you have to consider the special requirements of these devices. Using a finger to navigate a website is entirely different than using a precise mouse cursor. This is why buttons and form input fields need to be at the right size. Font sizes and white space should also be applied more generously, so that users can navigate easily and read content comfortably. Staying in constant communication with the developer during the entire process is very important (i.e. if you are not the developer yourself). Especially in a responsive design process, incorporating the developer’s knowledge into your decisions will keep you from having to change things later on. After wrapping up the design process, the first decision to make is whether to code the theme from scratch or to use a blank or starter theme. 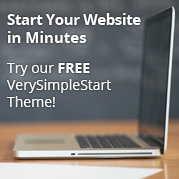 If you want to work with one of the popular responsive frameworks such as Twitter’s Bootstrap or ZURB’s Foundation, then you could use a starter theme that already includes the framework, such as BootstrapWP or WordPress Foundation. Of course, the way you start a theme will always depend on the project and your personal preferences. But if you’re still learning, then a blank theme would serve as a solid foundation for development. A smart approach is to design and develop for the smallest layout first (i.e. smartphones) and then work your way up to tablet and desktop screen sizes. Alternatively, you could add CSS classes for old IE browsers through conditional comments, and then add CSS styles to set a maximum width for old IE browsers outside of your media queries. With the release of high-pixel-density devices such as the new iPad and new MacBook Pro, you will also need to reconsider the images in your theme. Alternatives to images would be to use a CSS solution or use icon fonts. Fewer images will also result in a much more lightweight theme, which will speed up performance on slow mobile Internet connections. 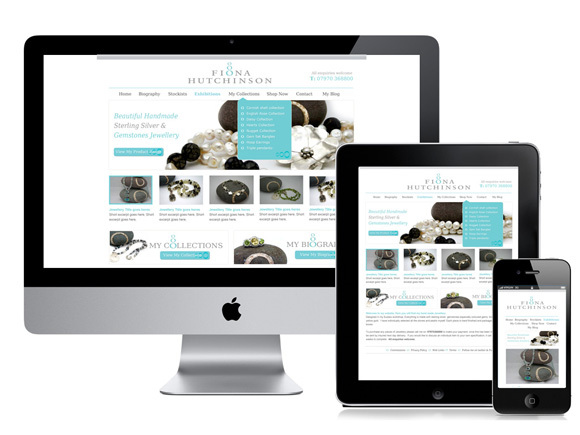 Particularly when developing a responsive theme, testing your work live as soon and as often as possible is critical. This way, you can quickly correct styles during development as necessary. Also, test whether fonts are easy to read and whether images, gallery sliders and embedded elements such as video work correctly on different devices. Of course, checking your theme on one of the many screen-resolution-testing tools, such as Screenfly (http://quirktools.com/screenfly/) , during development is very helpful, too. But because of the different behavior of mobile browsers, touchscreens and high-density screens, constantly testing your theme on actual devices is important. Unless you work for a big company, finding ways to test your theme during the development process can be quite a challenge. Of course, you won’t be able to test on all of the devices out there, but besides the devices that you own, you could ask friends, family, other freelancers and coworkers to help you test. You can also visit your local electronics store to test on the devices there. A mobile theme plugin such as the popular WPtouch plugin can be a great temporary solution to give mobile users a better experience on an existing website. In most cases, offering visitors an optimized mobile experience with the help of a plugin is probably better than not optimizing at all. The website can maintain its unique branding across all devices. Users will get the same experience on all devices and thus have less trouble navigating the website. The website will be easier to maintain (the administrator won’t need to install and update the plugin). 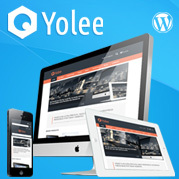 Responsive Web design is often still described as a trend. And some might quietly hope that the trend will pass sooner or later. But responsive Web design is so much more than a trend: it’s a new mindset. In a multiple-device world, where the Internet seems to be available everywhere, responsive Web design feels so much more like a natural process that is just starting to show its potential. So, what should our job as theme designers and developers be? Because responsive WordPress themes are still so new and in constant development, we must not be afraid to start from scratch, search for improvements and continue learning. And let’s share our knowledge and experience with each other along the way.